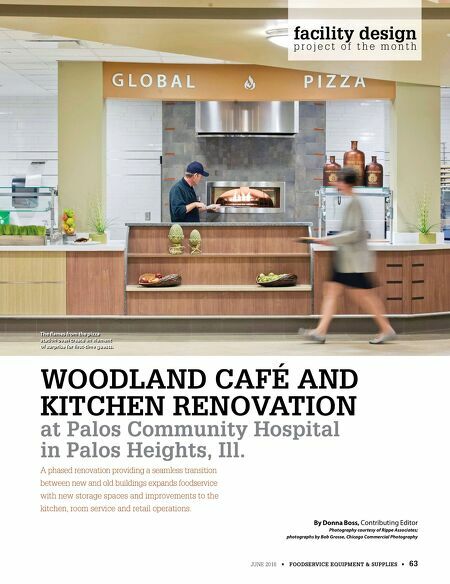 JUNE 2016 • FOODSERVICE EQUIPMENT & SUPPLIES • 63 WOODLAND CAFÉ AND KITCHEN RENOVATION at Palos Community Hospital in Palos Heights, Ill. A phased renovation providing a seamless transition between new and old buildings expands foodservice with new storage spaces and improvements to the kitchen, room service and retail operations. By Donna Boss, Contributing Editor Photography courtesy of Rippe Associates; photographs by Bob Grosse, Chicago Commercial Photography facility design p r o j e c t o f t h e m o n t h The fames from the pizza station oven create an element of surprise for frst-time guests. 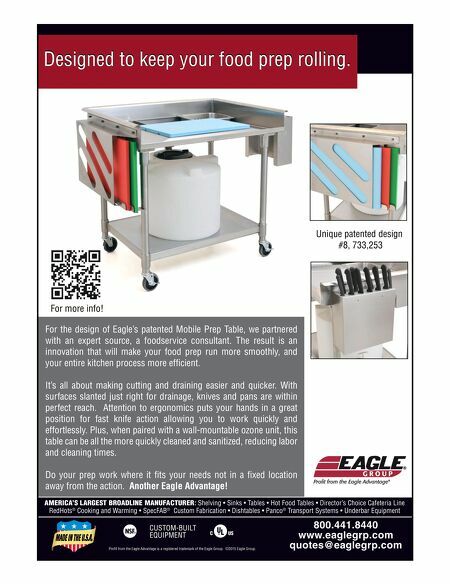 DSR of the Month: Michael Wahl, Sales Representative, TriMark SS Kemp, Pittsburgh, Pa.